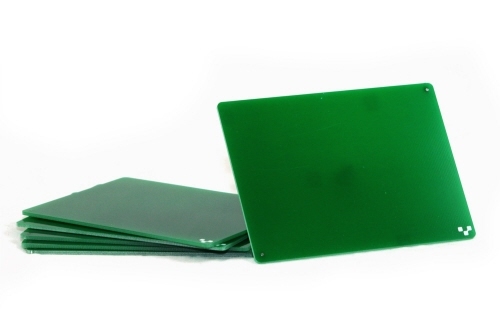 Creating double sided boards just got easier! 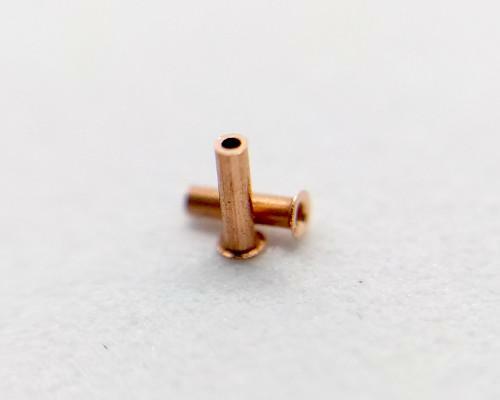 Use this drilling attachment to make vias and through holes; then connect the top and bottom layers with rivets. 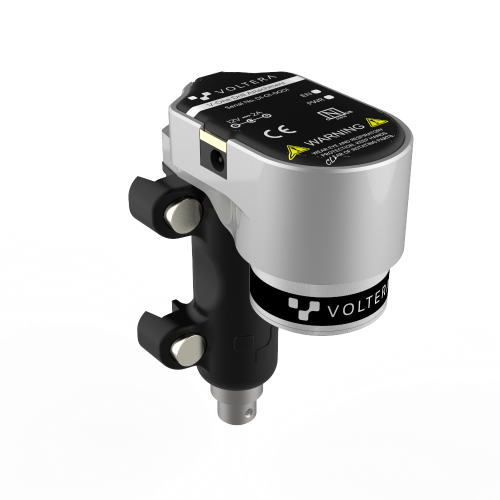 The drill mounts on the V-One just like the probe or dispenser but is externally powered. The operation is automated and surprisingly quiet. Just be sure to wear the safety glasses provided! A set of high precision drill bits, covering the most common drill bit sizes. Just pop them in the V-One Drill with a 2.5mm hex key (not included) and start drilling. 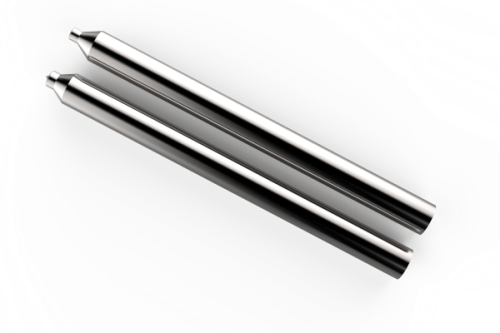 The following sizes are included (2 of each): 0.70mm, 0.80mm, 0.90mm, 1.00mm, 1.60mm. 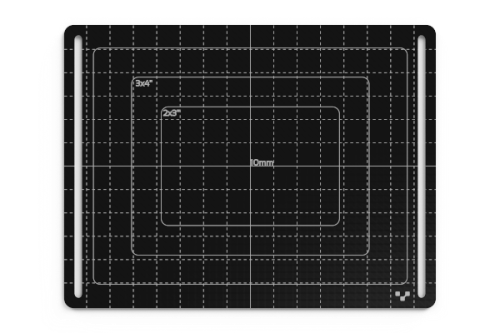 To protect the V-One from any damage during drilling, mount this piece of FR1 on the heated bed and clamp your substrate on top. 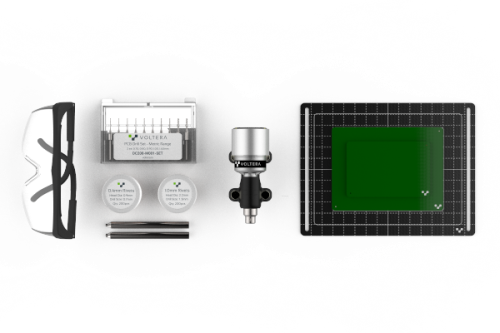 The V-One Drill attachment will perforate your substrate but won't make it through this layer so your heated bed stays intact. Only one is included, but don't worry, the sacrifical layer can be reused plenty of times. Do you need a way to connect the top and bottom layers? Rivets are the key! 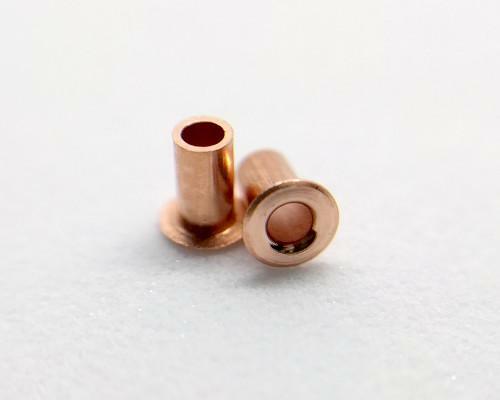 Rivets are little copper tubes that make a mechanical connection between the top and bottom layer. 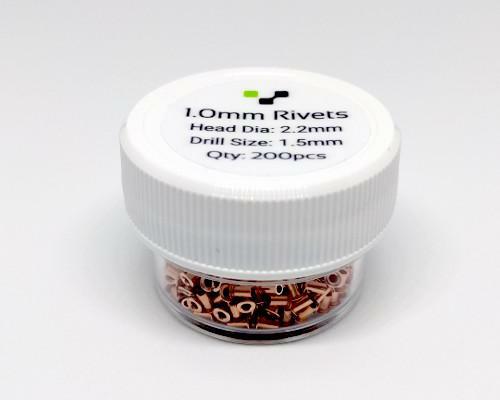 We found rivets to be the easiest way to create vias. 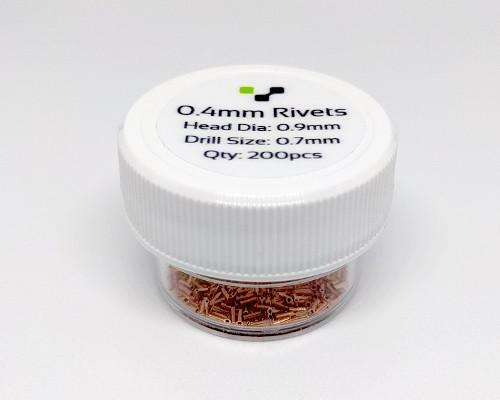 Be sure to pick up the corresponding rivet tool if you don't have one! Use the right tool for the right job. These steel stakes are used to press the 0,4 mm rivets on the PCB after holes have been drilled. 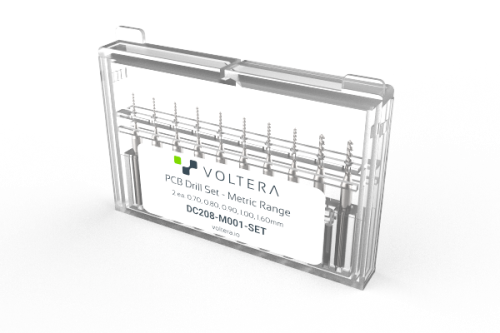 They have been designed for optimum performance on the ink and ensure an electrical connection between the top and bottom layers of your PCB. Use the right tool for the right job. These steel stakes are used to press the 1,0 mm rivets on the PCB after holes have been drilled. When you start to run out of space in your design, migrate over from the small substrates to these. 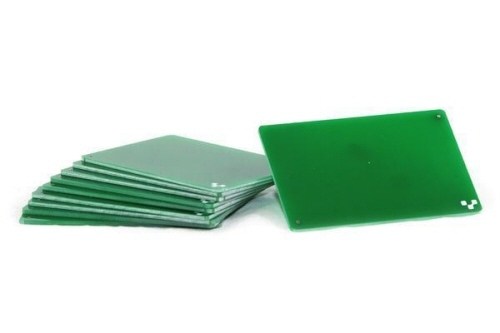 These substrates are made of FR1 - which means they don't contain fiber glass. 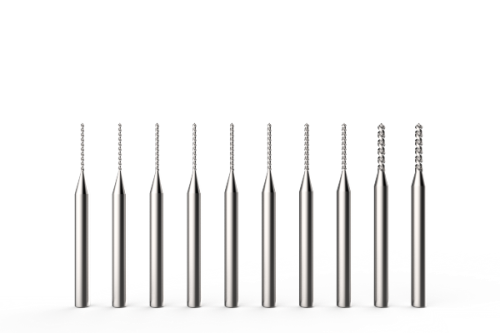 There is less wear on the drill bits and the dust is not harmful to your lungs. 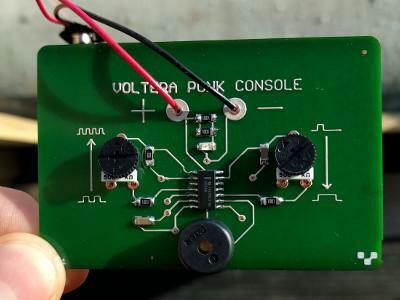 The Punk Console circuit is an advanced tutorial to get you familiar with the V-One Drill attachment. Learn how to create a double sided board and turn the knobs to create music! Rivets and a V-One Drill are required.